Do your tires have enough tread to safely stop in wet road conditions? 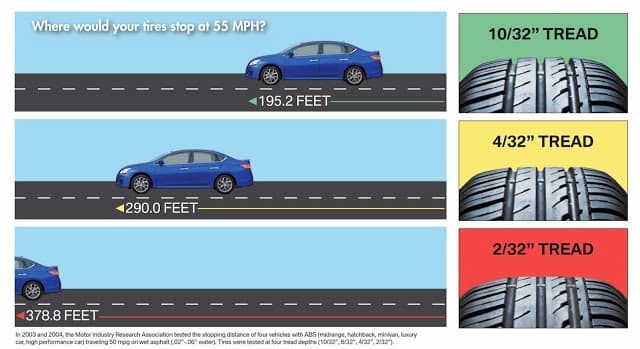 Sufficient tire tread allows water to disperse from underneath the tire, keeping your tires physically on the road and allowing you to stop within a shorter distance. Deeper tread allows for safer, quicker stopping, especially vital on wet, slippery roads. All things wear and tear with regular use, including tires. Replacing your tires ensures you will have optimum tread to safely drive and brake in wet weather. Your safety is important. That’s why our award-winning service departments employ top-notch technicians that are fully-trained and offer the finest, expert service available. 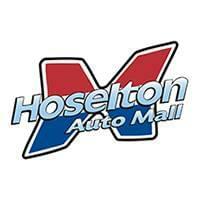 Schedule an appointment to have your tires inspected. Our parts departments are staffed with the most qualified parts professionals ready to answer your questions and address your parts needs! Contact us to order tires or snow tires for your vehicle. We sell tires for all makes and models.